Have you ever skied on a carousel, or moved effortlessly to the start by a magic carpet? Has Snowli shared his tips and tricks for skiing with you? 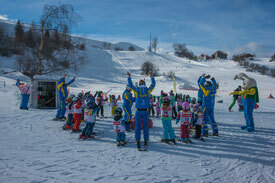 Have you ever skied in a race and stood on the Podium? No? Then it`s about time to do so this winter. We are looking forward to meeting you! 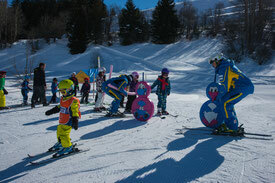 For lessons in the Kids Village you do not need a reservation. 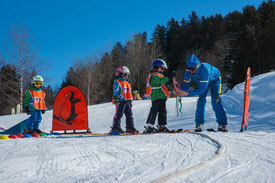 Though in times of high season we recommand to come in time for a ticket for your child. More information you can find in our weekly program (only german).